In an age where the consumer has more influence than ever before, brands are having to rethink the way they work internally and the relationship they have with their customers. Being authentic and collaborating with the right partners plays an incremental role in surviving the rocky new world of the consumer. 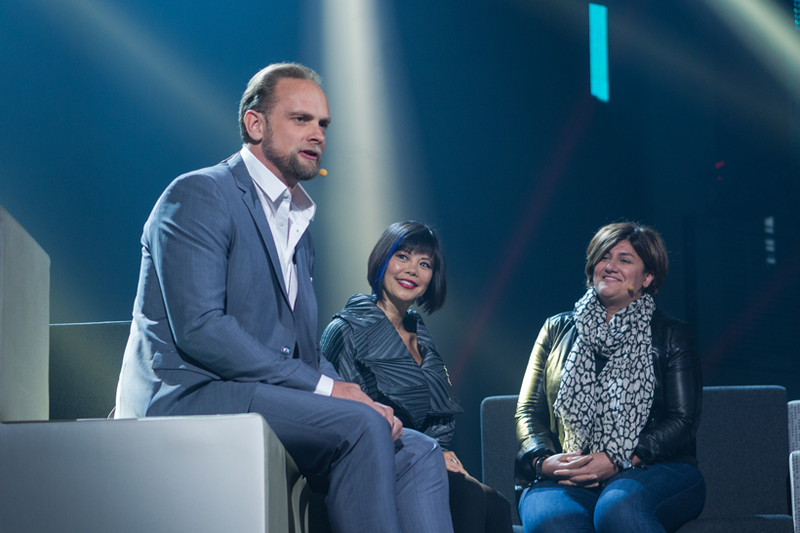 Speaking at C2 Montréal, PepsiCo CMO Carla Zakhem-Hassan and Intercontinental Group CCO Emily Chang discussed the power of collaboration and the importance of authenticity. And how as leaders, it’s important to let your personal life and passions ripple through the organisation, in a way that inspires employees. "How to be authentic is something that permeates our entire culture [at PepsiCo]. Consumers manage our brands for us now," Zakhem-Hassan said. "It’s really critical that you don’t just do things to do them because consumers will sniff that out. We’ve really been pushing on it." Zakhem-Hassan hates the word 'supplier' and calls people who work with PepsiCo 'partners'. She also said it’s important to create a space for partners to be able to come and collaborate but ultimately these days you have to be nimbler: "You’ve got to go fast, fast, fast and produce all sorts of content, so it was important for us to bring it in house but also in collaboration with our partners – it’s a different model altogether." "You have to go at the speed of the consumer and you have to shift how you’re thinking. 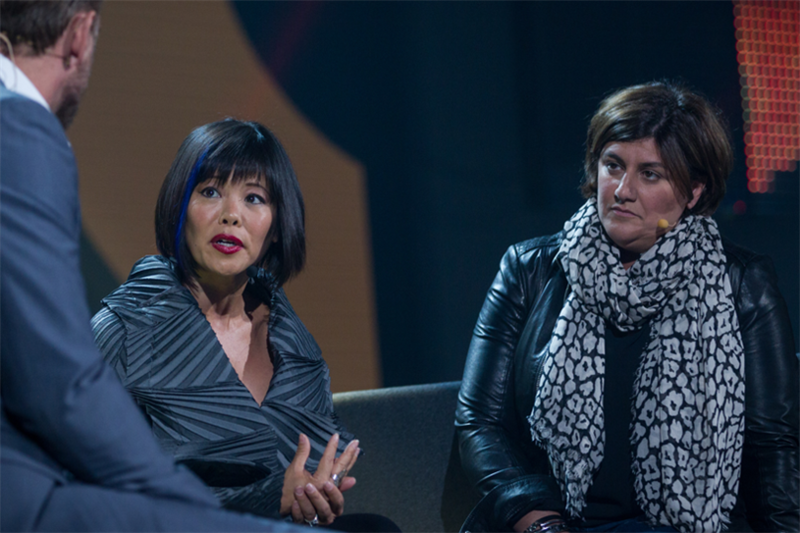 We have to be the creative curators of our own brands," Chang said. "We almost have to redefine some of the language we use. We talk about brand management, I don’t think we know what that means anymore." "Whatever business you’re in, you create these lines and then you’re constrained by them. It’s all about the labels we put on; when we do that we look in a limited way at our potential. "Collaboration with our guests, our consumers, our customers is absolutely critical. It’s not about social listening or putting something out there and hoping. One of the biggest responsibilities we have is that our guests are vested – they give us feedback constantly and it’s our responsibility to engage." We all know how important customer feedback is these days. But it’s not only the consumer who has a voice now. More and more companies are seeing the value in employee feedback and the improvements that can be made to a workforce if you listen to workers on the frontline. "Internally, we’re pretty flat. There’s a lot of room for those who have a voice, whether it’s at the bottom or at the top. It’s so important to get feedback," said Zakhem-Hassan. The pair concluded that the marketing landscape has dramatically changed over the years. Where advertising was once self-promoted message after message, in an obvious fashion, new media has allowed a new breed of marketing through branded content. Now the consumer has so much choice that any brand message or piece of content that isn’t authentic, or doesn’t strike a chord, will lose consumer interest.